You Save: $5.19 (20%) Ships in 1 day. Publisher: University Of Hertfordshire Press, 2006. Soft Cover, 224 pages, 6.25 x 9.25. 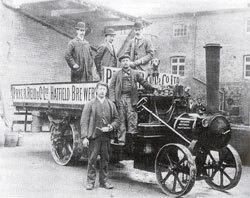 Brewing and its associated activities have been important industries in Hertfordshire for centuries. 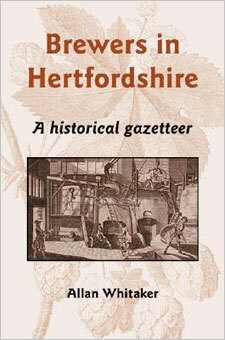 In Brewers in Hertfordshire, Allan Whitaker presents a detailed history of brewing in the county from 1700 to the present day. Today only McMullen & Sons of Hertford and a few micro-breweries are still brewing in Hertfordshire, but in times past there were at least seventy small local breweries, some of which flourished and accomplished successful takeovers. Several, subsequently, became part of major national breweries. Allan Whitaker's survey charts the complex patterns of growth, sales and mergers, including the activities of brewers from outside the county that had part of their tied estates or in some cases maltings within the county boundary. A fascinating picture emerges of family fortunes made and lost, with businesses intimately tied in to marriages and deaths. Some of the breweries were owned by Quaker families, and in a number of instances some of these brewers became partners in local banks, thus strengthening the standing of the Quaker community. After a substantial introduction which explains the brewing process and gives an overview of the development of the industry in the county, the gazetteer visits each town and village where there were breweries and gives details of their tied estates and their business histories. Descriptions are given of what remains can be seen today, and there are also plans and photographs of many of the breweries.